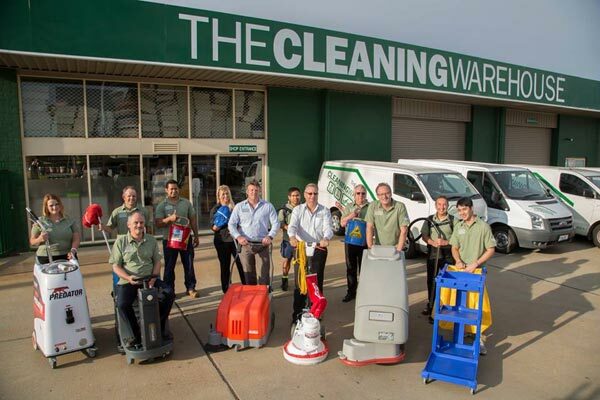 The Cleaning Warehouse Pty Ltd is a product contributor to the Australian Cleaning Industry. The Company was formed in 1985 and today operates a Regional Manufacturing and Distribution company with branches and dedicated distributors throughout the ACT, Southern Highlands and South Coast Regions. Over the past two decades our objective has been to create an awareness of the need for clean, safe, hygienic working conditions. Our technical expertise, depth of experience, research and development coupled with strong overseas affiliations ensure chemicals are formulated with the latest technology and raw materials to international standards. The Cleaning Warehouse is an Australian manufacturing organization with sales and distribution driven by customer needs and we take pride in pleasing our customers. To compliment the Chemical Products we act a Distributor for all major Accessory and Equipment Suppliers, as well as, Paper and Packaging Products thus enabling our Company to supply a complete Maintenance Package. We are proud to be chosen to service some of the largest names in the industry. Several organisations use our Company as consultants to supply ongoing Maintenance Procedures and Products; they also acknowledge our Product Range as totally compatible with their respective environments.